What is a Thermal Imaging ﻿﻿Camera﻿﻿? Thermal imaging cameras were originally developed for the military in the Korean war and since been adapted to a variety of other commercial and military uses. Thermal imaging cameras today are commonly used to detect temperatures behind walls or other solid objects; as well as checking breaker boxes ensuring circuits are not overloaded. They are also used to detect missing insulation, water leaks and HVAC leaks. ​From a commercial standpoint they are commonly used to check the operating temperature of machines and electronics to detect possible issues and/or malfunctions. Being able to “see” behind walls as well as detecting large temperature spikes can help stop thousands and in some cases hundreds of thousands of dollars of damage to expensive equipment and homes. Home owners, Inspectors, electricians, contractors, and auto mechanics are just a few of the people who can make use of thermal imaging cameras. What is NIST and why it matters? 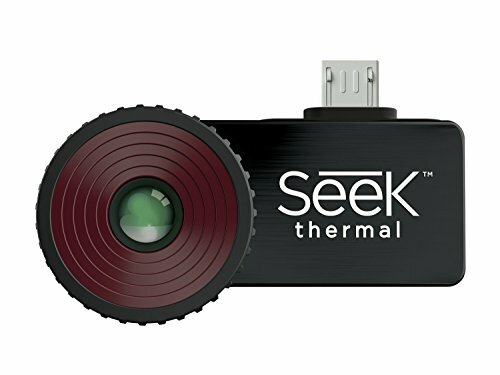 Should I Buy A Thermal Imaging Camera That is WiFi Enabled? Should I buy a thermal imaging camera that attaches to my iPhone or android device? Wide temperature detection range - the greater the better! Still trying to figure out what thermal imaging camera is best for you or looking to learn more about them and what features may be important to you? Below you will find some of the more common features that buyers look for in thermal cameras as well as more information about them. Hopefully this adds to your knowledge and assists you in your selection of the perfect thermal imaging camera for your needs. Our comparison chart also allows you to easily see the difference between all the cameras that we have currently reviewed. Thermal detector resolution is the most important factor indicating the quality of thermal images the camera will produce. Do not be misled by the manufacturer saying that the display is 640x480 but the thermal imaging resolution is only 80x60. This will never produce high quality thermal images. The higher the resolution, the more precise and accurate measurements of small targets are going to be and the better the quailty of the picture allowing you to see smaller details. High resolution detectors are going to provide better thermal image details that cannot be seen on low resolution cameras. Keep in mind as stated above, thermal camera displays might have more pixels than the camera detector, but your actual thermal image detail is always limited by the thermal detector resolution. You should think of it as up-scaling on your 4K TV. Your TV might have 4K resolution, but if the source (let’s say a DVD player) is only 480P, you are only seeing an upscaled image. For home use and simple do it yourself types a range of 14° to 300°F is typically adequate for almost all scenarios as this will allow you to spot unsealed windows, potential water leaks, and Heat/AC issues. For professional use in factories or inspections you will need a higher range such as -40° to +600°F as this will allow you to spot check heat spots on active machinery that may operate normally at higher temperatures than 300F. Like many things that depends upon what you are going to use the camera for and how accurate you need it to be. If you are a small home or condo owner and simply want to have a thermal imaging camera for checking heat leaks making sure that there are no water leaks etc. then spending a couple hundred dollars might be enough. One of the Seek thermal imaging camera attachments or the Flir One could be a great fit as it uses your phone for the display and to save pictures. These cell phone thermal imaging cameras are available on Amazon where you can also read customer reviews. 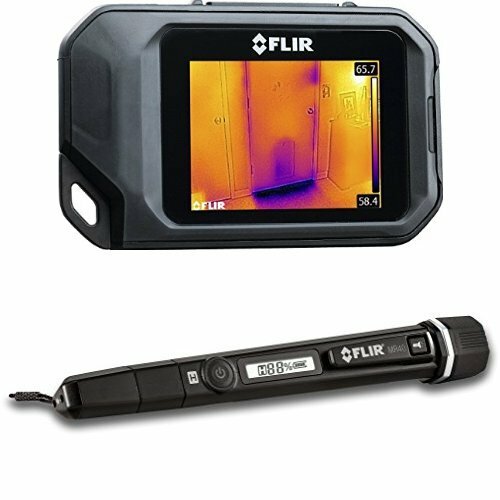 Check our article on Flir One vs Seek to get a detailed comparison between these two popular thermal cameras. 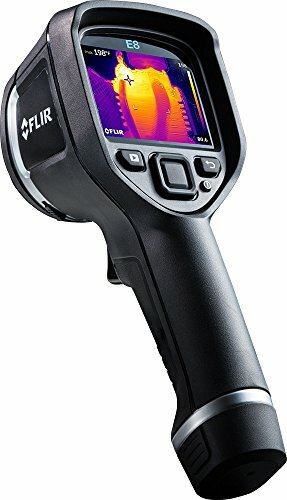 If you have a larger home and know you will need to be doing many repairs and checking on old heating/AC systems or a tradesman that has a need for a thermal imaging camera from time to time then it may make sense to spend up to $1,000 for a semi-professional grade camera (like the FLIR E4 displayed above) that is more accurate and will allow you to zoom in on pictures and identify potential problem spots quicker and easier. 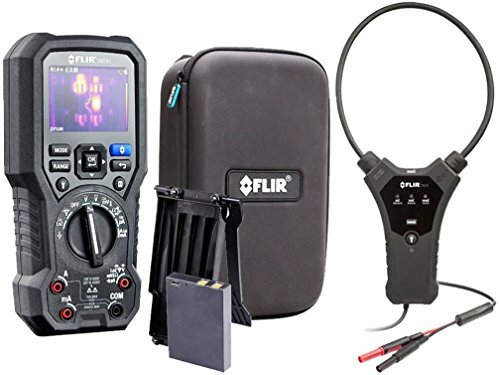 Finally, if your profession depends upon daily use of the thermal imaging camera (commercial electrician, inspector, HVAC mechanic, or commercial property manager) then it may make sense to spend up to or even over $10,000 depending on how accurate your reports need to be and the liability associated with an incorrect reading/report. Many people also fall into the trap of buying the cheapest camera (or other item) for what they need and they realize very quickly that while it may have “all” the features that they needed it may not work as well as other more costly models due to low thermal resolution or may take them longer to complete a project because the camera malfunctions from time to time, processes slower or the reporting software is not adequate for what is needed. 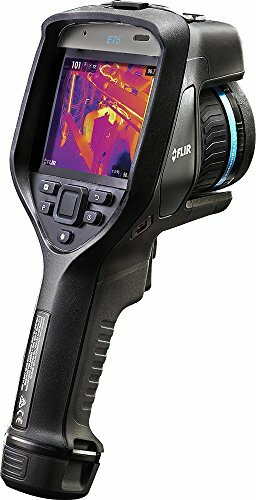 The FLIR E8 is our pick for best overall thermal imaging camera. Fitted with a rugged drop proof body and industry leading 2-5-10 warranty from FLIR, it is guaranteed to withstand daily use. The FLIR E8 has a 320x240 thermal sensor which translates into 76,800 pixels as well as FLIR’s patented MSX technology that blends visual images with thermal images giving you even more clearer images. The refresh rate is only 9Hz which does mean that image will blur while moving. The E8’s resolution exceeds the RESNET resolution standard which is important for home inspectors. The E8 is the top of the line thermal camera in the FLIR E-series line up and can measure object temperatures from –4°F to +482°F; while this is suitable for uses a professional grade camera will have a much higher temperature detection range. One button operation is easy to use and the focus free lens quickly measures infrared energy quickly although you do not have the laser distance meter like in the FLIR E75 which makes taking pictures even quicker. The included SD (640x480) visual camera is adequate however not as high quality as other higher end thermal cameras. If you’re looking for a semi-professional grade thermal imaging camera that is affordable and easy to operate, the E8 should be your choice. Read our review. Professionals in need of the most accurate measurements and flexibility should consider the FLIR E75 thermal camera. A step up from the E6 and E8 models, the E-75 and E-85 offer interchangeable lens options, greater thermal detection range (up to 1830°F) and a new touchscreen IPS display with 160° viewing angle. Aimed particular at streamlining reporting and quickly sharing inspection information, the E75 allows you to make voice notes, automatically tag GPS location on the images and store reports in customizable work folders. 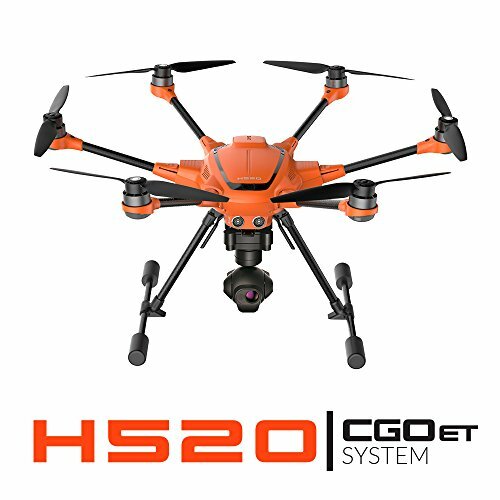 The E75 has a 320x240 thermal sensor providing high thermal resolution combined with FLIR’s MSX technology which blends thermal and HD 5MP visual images together. The 30Hz refresh rate ensures that you will be able capture images with little to no blur even while moving. Read our review. What impresses us with this model is it versatility and decent thermal resolution for the price. The 80 x 60 thermal resolution is not the highest we have seen but given the price point of the E4 the resolution is adequate for many different types of applications from HVAC inspections to home and electrical inspections. The E4 is a great all around budget thermal camera. The integrated FLIR technology is designed to provide you with that much needed extraordinary thermal imaging detail. Because it has Wi-Fi connectivity you can either connect it to your SmartPhone or tablet- but only via the FLIR Tools mobile app. This is quite handy as it allows you to share images and send reports from just about any location. As a result, critical decisions are made faster. Its highly sensitive sensor resolution is one of its most impressive features. By merely touching something it picks up the extra heat that’s transferred from your hand. As you’re aware the FLIR E4 is designed to clearly reveal any underlying issues from different sources. These problems can be anything from energy loss to structural issues. As such this powerful camera is best suited for both home and professional use - particularly for electronics, plumbing and many other mechanical and building applications. The value of the camera lies in its picture quality. Only when the display screen provides you with clear images can you better spot the problem and deal with it effectively. Thanks to the MSX technology this camera produces high-resolution radiometric images. The battery life isn’t all that great - approximately three hours straight depending on usage. This model is a pretty cost-effective option. You won’t be breaking the bank to own one. For such a sophisticated piece of equipment, it’s pretty easy to use. Moving to the downsides, we’re mainly worried about the poor software support because it’s constantly crashing. This more than likely proves its durability isn’t ideal because it’s been reported to randomly shut down after a couple of uses. The Seek CompactPro is an advanced smartphone thermal imager and our choice as the best attached thermal camera. Equipped with 320x240 thermal sensor typically found in much higher priced standalone cameras, it generates clear easy to understand thermal images. With a wide temperature detection range of -40°F to 626°F, fast 15Hz refresh rate, focusable lens and 9 color palettes, it really outshines other cheaper thermal attachments and actually makes SEEK CompactPro usable by professionals for occasional use. SEEK CompactPro is available for iOS and Android devices and uses smartphone/tablet battery to power itself. Read our comparison of the Seek and FLIR ONE. Here is a thermal camera for professional use because it can blend both the visible and infrared images. The infrared image is viewed in a 32x32 thermal resolution which is quite impressive. It can quickly turn the thermal image into a visual image so you can swiftly determine the problem. Together with the thermal camera, you’ll receive an SD card, manual and protection bag. You can store a sizeable number of images in the 4GB micro SD card. With a sensor resolution of .3 mega pixels, you can tell it displays considerably clear images. The remote sensing is said to be both accurate and reliable making it a very effective device - with minimal mistakes. As mentioned earlier this camera works best for detecting leaks. Bearing that in mind you can use it for a car engine overhaul or for air conditioner repair to mention a few examples. This camera, in particular, features a 2.4” display screen. Though not very big, it nonetheless displays images in full HD. The battery life isn’t that long as it burns up the 4 AA’s power pretty quickly; ideally we would have liked this to last longer. At least you won’t be spending much to own this unit as it’s very reasonably priced. Performance wise, it works better when you’re viewing multiple objects on the screen thanks to the visible light images provided. What we must warn you is that it’s not ideal for applications that require detailed images. For those scenarios, you’ll have to opt for the higher resolution cameras. The general consensus is the picture quality is not on par with other similar devices. Most users cite it’s too low in quality and some get pixelated images. Not all thermal cameras have to be weighty. In fact, one of the major draws for this model is its slim profile design. You can easily slide it into your work bag or jacket pocket; Plus it’s super lightweight. Thanks to the built-in LED spotlight you can also use it as a flashlight - particularly for photo-illumination. Since it’s designed to provide digital imaging in the background, it’s easier to tell where particular photos were taken. The resolution is not bad for occasional standard inspections. The 80x60 thermal resolution is adequate for leak detection but In-depth analysis will probably require a more expensive camera with better resolution. The 9Hz refresh rate could be higher but again for leak detection purposes this is typically adequate. It works well for quick structural inspections - particularly any leak detections to see if there is any moisture infiltration. For such a small camera we’re impressed with the clarity of the images it produces. This is thanks to its clear LCD display which features a simple on and off button. The battery life isn’t that long. Thankfully you can easily recharge it - in the car for instance - via the USB port. Aside from its portability, this thermal imaging camera is very easy to use. It’ll provide you with accurate & reliable measurements. Best of all it’s a relatively inexpensive unit. However, it might not be a cheap investment in the long run as you’re likely to make a repeat purchase since its durability is questionable. A few users have noted that it may start malfunctioning after just a couple of months. Here you’re not just receiving a thermal imaging camera but the full kit. Sure you’ll have to pay a bit more but you’ll be getting value for your money. The kit comes together with a lithium rechargeable battery pack as well as a flex Clamp probe. This way you’ll always have everything you need for thermal imaging at all times. With this product, you can view both thermal and electrical measurements at the same time. Also, by downloading FLIR related software from the brand’s website you can easily edit and color change your thermal images. The 160 x 120 resolution FLIR thermal imager allows you to clearly see exactly what you’re pointing at. It’s ideally suited for matters related to field electronics. This encompasses anything from commercial electrics to light industrial and everything in between. It will show you precisely where the electrical problem is which ultimately speeds up troubleshooting. The display is quite attractive to look at. It’s very easy to read the text and gauge the details of images, which you’ll find pretty useful when you’re in a hurry and have to make quick decisions. For such a sophisticated device we’re not impressed with the battery life. Frankly, it’s too short. It’ll last you only around three hours. We particularly love the convenience this kit has to offer where handling is concerned. You can carry this all in one tool and enjoy the multiple functions while simply moving around with one device. Another of its advantages is you can pinpoint the exact problem in no time with this unit, making it ideal for emergencies. The only thing you might need to worry about aside from the short battery life is the safety of your unit. This is because it doesn’t come with a protective casing. This one has a compact design you’ll appreciate for easier handling. The brand took it one step further and made its operations very intuitive. It’s easy to attach to turnouts and it features a single large button for activation. This K2 model uses FLIR’s patented MSX technology that’s designed to provide you with the extra imaging perspective needed to make your job easier and decision making quicker. You can set it up to seven different thermal imaging modes depending on the emergency you need to handle at that moment. With this camera, you can measure temperatures from a distance. This especially helps you by giving you the necessary advance warnings so you know how to deal with the situation swiftly, even though you haven’t seen it up close yet. The pictures are quite clear which comes as no surprise given its 160 x 120 thermal resolution. Based on the specs above it’s clear that it’s specifically designed for firefighters. Even with gloves, they’ll find it pretty simple to operate. The 3” LCD screen with a back-lit screen is very bright so you can literally use it to see your way through the dark and smoky situations. The battery doesn’t last as long as you’d expect it to. You can even go through 3 AAA batteries in just a space of one week. That means a continuous expense to keep it powered. For this nifty gadget, you’ll have to part with more cash because it’s on the higher priced end of the spectrum. Nonetheless, it’s very easy to use which is great and makes it worth the money in many conditions. On the flip side not only does the battery have a short life but it’s difficult to change. The CGOET camera is designed to allow for accurate visualization of all heat sources. Thanks to the adjustable temperature detection scale you can focus on only the relevant areas so quick decisions are made. You’ll appreciate the simultaneous HD and infrared recording which works by separate files. The thermal and available lights are recorded simultaneously to allow for synchronized playback when it’s time to view the footage. You won’t be guessing what time certain images were taken thanks to the same feature which has embedded time codes. It features real-time user selected palettes so you can capture images as they happen. Using this camera at night will in no way alter visibility. This is because it features a large IR sensor to detect objects in greater detail even in the dark; Something the naked human eye won’t be able to do. The thermal resolution is 160x120. This thermal imaging camera is the one to pick when you want to conduct inspections as well as use it for aerial photography and mapping. It’s the ideal gadget for use during long flight times. Its Gimbal mounted IR allows for smooth detection display. It comes with two batteries with impressive longevity. For general use, there won’t be any interruptions during capturing footage due to battery issues. Besides, the drone is programmed to return home once it has a low battery. We like that it doesn’t need expensive software to function. Its 3D scans and crop data imagery functionalities also make it a very efficient device. On the downside, it’s a very expensive gadget. This Trijicon product is the thermal camera of choice for avid hunters. It comes only in black which is, of course, a favourite color for many hunting equipment items. This device weighs just 989 grams so you can tell it’s not a very heavy unit - that makes for easy handling. Regardless of the time of day, you can use it as it functions perfectly both during day and night time. Its sensor resolution is impressive with 640x480 thermal resolution. In fact, its ability to view images clearly is one of its major attractions. You get a clear and distinct picture of the environment whether it produces heat or not. As mentioned, before it’ll work best in hunting scenarios. Unlike most thermal scopes which produce cloudy scenes when you view images, this one’s pictures are very clear - even in the dark. It has a relatively long battery life so you can enjoy your hunting expedition for a long time without getting distracted by tech challenges. We are really impressed by its clarity in terms of images. It allows you to clearly differentiate between two similar animals even from miles away. You’re guaranteed to be pointing at the right animal for an accurate shot. Owning this unit won’t come cheap because it’s expensive. If you like what we’ve listed so far, it will be worth the dollars though. As we already mentioned above, beside home use to detect HVAC leaks, check window seals and outlets, thermal cameras are used by professionals in industries like fire service, electrical maintenance, the military and scientific areas. The easiest way to spot a potential electrical issue is to look for an overheating element as in the picture above. Most electrical elements and wires have a certain temperature ceiling, if a wire or electrical component goes above a certain temperature, they will fail or cause the machine to shut down causing potentially causing thousands if not hundreds of thousands of dollars of damage. If you are using your thermal camera for this type of commerical appliation it should also most likely be NIST certified. There are several ways of testing for potential issues, but most electricians agree that a thermal imager is a safe and fast way of detecting potential problems. An on-screen spot meter can show overheating wiring or components and give you accurate temperature readings allowing to see if they are within acceptable tolerances. A thermal camera is an essential tool for every electrician. View a complete list of the best thermal cameras for electrical inspections. As a home owner and do-it yourselfer you have gone ahead and switched out some of the light fixtures in your new home as well added a few extra switches to your wall outlet and to save money you have done it all yourself. What you may not know is if the house was wired to the correct standard when it was built. If you are pulling too much power from one outlet it can cause a tremendous amount of heat that you may not notice when you flip the switch. Prolonged excess heat can damage your wall and potentially cause a fire. With a thermal imaging camera, you can simply point it at the wall and see if there are any heat spikes due to the additional wiring. 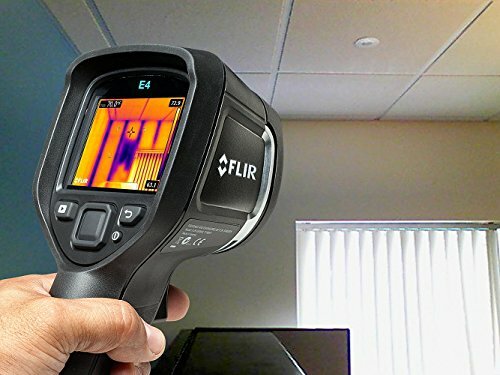 As a contractor or building inspector you may be called in to diagnose why the buildings AC or heating bill is so high – with a high grade Thermal imaging camera you can detect if there is missing insulation broken areas of duct work or other energy efficiency issues. You will also be able to inspect electrical boxes and circuits to ensure the wiring is correct and the circuits are not overloaded. Without a thermal imaging camera you would literally have to start crawling through the duct work or roof and try to visually diagnose what the issue was which would not only be more difficult but also take a tremendous amount of time. View a complete list of the best thermal cameras for home inspections. We all know how devastating humidity and moisture can be to your home. Thousands and thousands of houses are ruined each year because of undetected moisture damage that is unknown until it is too late. Mold is dangerous and can spread quickly if left undetected. So how can a thermal imaging camera be helpful detecting leaks and moisture causing mold? A spot in your home that contains water or moisture is cooler than​ the area around it. A high quality thermal camera can easily detect it so you can ​identify the problem and start fixing it quickly. Most professionals use it to spot insulation problems as well. Built in software can easily generate reports that you can send to homeowners or landlords for review. View a complete list of thermal cameras suitable for leak detection. Fire fighters face dangers every day. The only way to protect themselves is to have proper equipment and gear. We all have seen expensive flame resistant suits and equipment, but they also have another tool in their hands - a powerful rugged thermal imaging camera that helps them cut through the smoke and haze quickly identifying unconscious people. They can also use the thermal camera to detect burned out breaker boxes in electrical fires. Having another sense of what's around you can save lives and help them avoid dangerous situations. Thermal imaging cameras specially designed for fire service are rugged, waterproof and have built in view filters. These thermal cameras should also be NIST certified; more on that below. What is NIST and what does it have to do with thermal cameras? NIST stands for National Institute of Standards and Technology and is non-regulatory agency of the US Department of Commerce established in 1901. This agency is dedicated to advancing standards and technology around measurement science. Again, you are probably asking why do I care; well if you are using or will be using a thermal imaging camera in commercial applications or as a firefighter you very well may need a thermal camera that is NIST certified. Thermal cameras that have been NIST certified cost more but are essentially guaranteed to produce the most accurate data and information. FLIR offers their As Received As Returned calibration certification ensuring that you get the most accurate thermal images. This can be essential if you are a first responder using a thermal imaging camera to locate people who may be trapped in a burning building or other emergency situation where visibility is very limited. If you are monitoring multimillion dollar manufacturing facility or electrical equipment with very tight tolerances it can be essential that all the data being collected is as accurate as possible to ensure there are no breakdowns or damage to the equipment from operating temperatures that exceed the norm. If you are just going to be using your thermal camera around the house and for small non commercial home inspections then you probably do not need a NIST certified thermal camera and can save a few dollars on your purchase. A common question is whether your camera needs to have WiFi capability; the short answer is probably not unless you are using the camera daily as part of your business. Home owners and occasional users probably do not need WiFi capability. While it is nice to have this feature, it does drive up the price of the camera and unless you are using it every day for professional use, it is likely that you will not get the return on your investment. You should be aware though that if you are using one of the iphone or Android adapters you will be able to use WiFi so we would suggest checking these out if you want WiFi capability but will not be using the camera day in and day out. Over the last few years that has been some fairly good thermal imaging attachments created for iPhones and Android devices such as the Seek Compact and the FLIR ONE. These are convenient to use accessories that use your phone display, battery power (in case of SEEK Thermal) and downloadable applications to create all-in-one easy to use thermal devices. Simply attach when needed to take a thermal image, and generate reports using iPhone or Android apps. While these are not suitable for professional use or for homeowners needing advanced features (drop proof body, laser pointer, high refresh rate, etc), they are great choice for a first time thermal camera buyer or someone who only needs to make use of the camera occasionally especially considering its sub $500 price point. The Seek Thermal Compact Devices are highly rated and have over 1100 individual reviews on Amazon. While there are many entry level thermal camera’s as well as smaller ones that use your mobile phone for the display output that are only a couple hundred dollars; there are several commercial grade cameras that are much more sensitive that can cost as much as $10,000. Depending on if you are just a home owner trying to justify spending another $300 or a commercial building inspector looking at investing $6,000 to $10,000 in a top of the line NIST certified hand held thermal camera there are many thermal cameras that will fit your needs. 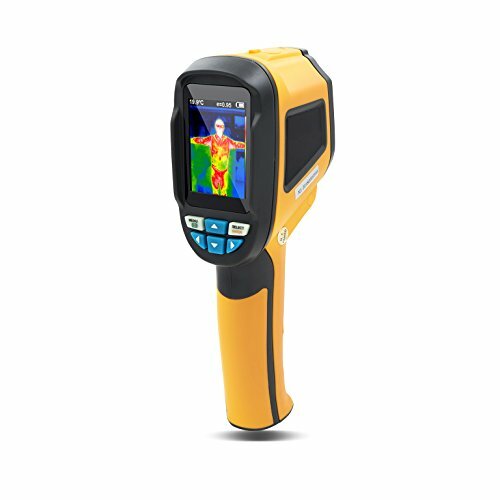 This site was created to help you find the best thermal camera for you! Read our Comparison of the Best Cheap Thermal Imaging Cameras! There are many thermal imager manufacturers on the market today. Some of the most ​popular names are: Flir, Fluke, Seek and Milwaukee. We would like to point out Flir and Fluke, since these two companies invested a lot of resources and research in thermal imaging. Besides home products and industrial products, you will also find specially designed products for military applications and aerospace. It is not an accident that we rank Flir and Fluke as some of the best thermal imaging cameras on the market today. With so many different thermal imaging cameras out there it can be difficult to find the right camera however at the end of the day ​keeping these three factors in mind can help you narrow down the cameras to choose from. What are you going to use the camera for? How often are you going to use the camera? Knowing how much you can and want to spend is the most important step. Once you are realistic about what you can afford it’s time to narrow down the camera’s in that price range. 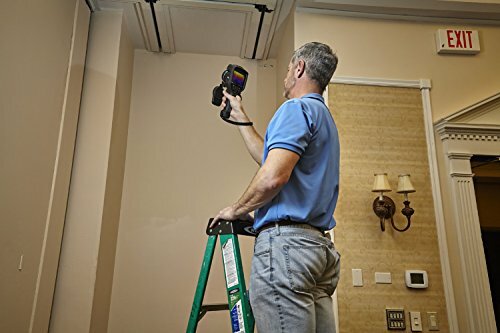 Next, you want to think about what are you going to use the camera for: if you are only going to use the camera to look for unsealed windows or HVAC issues in your house you probably do not need a very expensive camera with lots of advanced features. Here is it important to be realistic and truthful with yourself and what you will use the camera for. Finally, how often are you going to use the camera? If you are only going to use the camera a few times a year in a nonprofessional setting it probably doesn’t not make sense to buy an expensive thermal camera like the FLIR E75. On the other hand, if you have your own business doing building inspections and will be using the camera every day for earning your living then it makes sense to spend more money and buy a top of the line thermal camera like the E75 or E85.